This is the third time that I have been compelled to paint the garden corner by my art studio. It was first created in watercolor, second in a larger format oil painting and now it returns as a medium-sized oil painting. 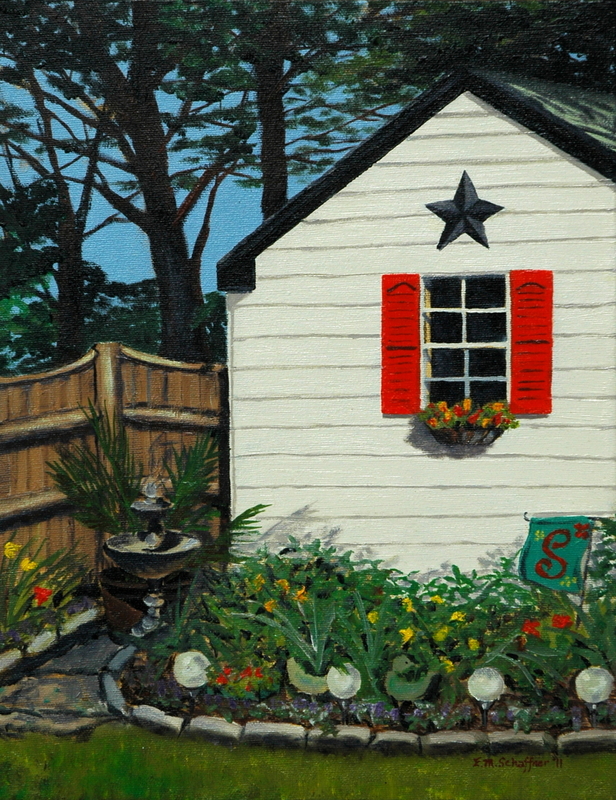 This painting will always remind you of the beauty of a sunny day and a blooming garden. This 14" x 11" painting sells unframed with a painted edge.